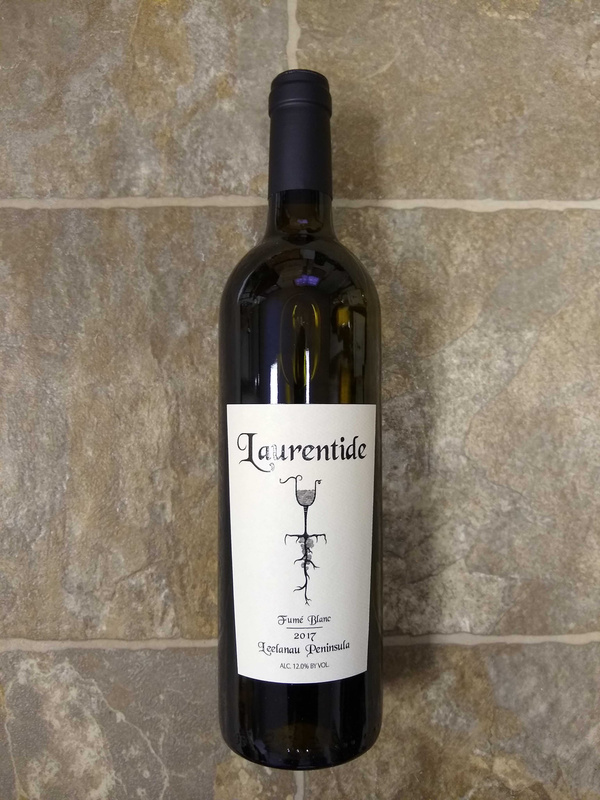 Fume Blanc 2017 from Laurentide is the 2nd Fume from Laurentide and in Michigan produced from harvest in September 2017. This is a slightly oaked version of our Sauvignon Blanc which can be most appreciated with some age. This wine is imbued with just a touch of vanilla from the unique toast used. An elegant wine to be paired with anything found in the sea or lake. Chapter one of our story started on a glorious spring day at the Arboretum in Ann Arbor Michigan. Heavily burdened engineering students, a girl from New Jersey and a boy from Kalamazoo met, fell in love and have been ever since. Our first experience with wine was shared on dates where time seemed long and money was short. The fare was simple and the wine as well. Strangely shaped bottles from Portugal or blue ones from Germany shared the table with food - the start of our unending fascination of wine/food pairing. The odyssey that entails our lives continued with the first of several moves across the country as our careers commenced. Our first life in California was a time of innumerable trips to Napa and Sonoma. We met huge names now, but little known then. Fantastic wines and flavors fanned the romantic dance between food and wine becoming our unifying principle. We traveled to France, lingering in Burgundy and loitering in Bordeaux. A deep-seated respect and love grew about the earth, soil, terroir concept and what wine can and should be.